Each year, I re-read this incredible book. For anybody who wishes to better communicate the Gospel to the unchurched, this is the first Apologetic Book specifically targeted at the postmodern person. I enjoy reading McLaren's authentic and engaging style as he builds the case for Christ in a new way, a way that better connects with people in the 21st Century. Through reading McLaren's thoughts, I've found myself better able to articulate my faith to people who have yet to meet Christ. It's like being an apprentice to a great evangelist--watching him do it so masterfully and learning the art and science of sharing your faith. The great apologists of the modern era (Geisler, Schaeffer, Guinness, Kreeft, Lewis, Habermas, Zacharias, etc.) are still helpful, but to reach a new postmodern culture, I think McLaren's style will go a lot farther. 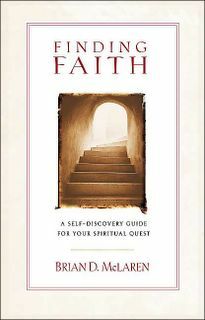 I've probably given away over 2 dozen copies of this book to friends with whom I have conversations about faith in Jesus Christ. I too would say its a great book ... in style and substance. Ditto on both counts. This is one of four McLaren books I read last year, and they were all very different, but each was excellent in its own way. This one is excellent for letting a reader find his or her own way, but with a most excellent tour guide.